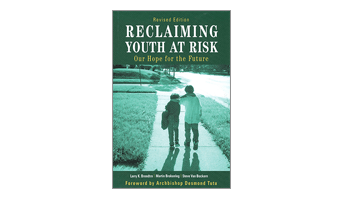 This updated edition of the classic, "Reclaiming Youth at Risk", draws on early youth-work pioneers, Native tribal wisdom, and youth development research and outlines the four essential elements every child needs in order to flourish and thrive: belonging, mastery, independence, and generosity. Includes innovative approaches for building relationships with youth, fostering their self-esteem, and instilling positive values in classroom, residential treatment, counseling, and correctional settings. The Circle of Courage® model has been adopted by hundreds of schools and programs in the U.S., Canada, and around the world. A "must-read" for everyone who works with youth. Written by Larry Brendtro, Martin Brokenleg, Steve VanBockern with a foreword by Archbishop Desmond Tutu. Published by Solution Tree, Inc.